In the Army, Robbie Chambers turned on his lover out of fear—and he hasn’t been able to live with himself since. Now he’s out of the Army but still trapped in the closet that brought on his most cowardly moment, and he starts to think he’ll never be able to fight his way free. Until he sees Cy McVeigh. Beautiful and uninhibited, Cy is dancing on the boardwalk at Old Sac for no other reason than the moment called for it. Robbie not only joins in the dance but is smitten from the very beginning. However, Robbie still has old business to clear up, and when he helps out a kid in need and comes face-to-face with the man he betrayed, he’s forced to come clean with himself. He can’t redeem his mistake if he’s still locked into his old patterns, and he won’t ever be worthy of Cy if he can’t earn Adam’s forgiveness. He’s going to need all the help he can get from the people at Candy Heaven in order to make things right with his past so he can have a future with Cy. I loved reading this series from start to finish each story had something sweet and unique to offer and this last book in the series was no exception. 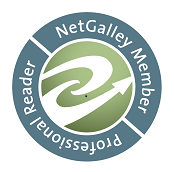 It was a 5 star read for me and thanks to Philip Alces, it was a 5 star audio experience. 'Tart and Sweet' was my first listening experience with this narrator and I definitely appreciated it. I enjoyed the character voices as interpreted by this narrator and my basic list was ticked. The voices gave me depth of emotion, they were expressive and unique to each character so that I knew who was speaking without being told. I honestly felt like Mr. Alces was enjoying this story as much as I was and that's an important quality for me. I love it when it feels like the narrator's just a friend in the room telling me the story. Most of the time when I'm listening to an audio book I'm also doing other things...cross-stitch, quilting, etc. but sometimes it's nice just to sit back and listen and it's when I'm enjoying a story as much as this one that I feel most inclined to do this. Just sitting back, relaxing, closing my eyes and letting things come to life. It's a really relaxing way to pass the time on a hot summer's afternoon. 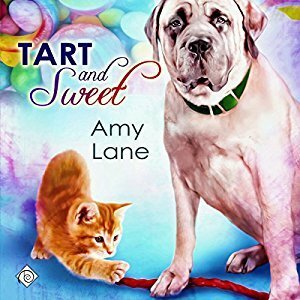 An audio book of 'Tart and Sweet' was graciously provided by the publisher in exchange for an honest review.